Are you interested in growing your own healthy food, becoming more self reliant, saving money, and planning for the future? If you answered yes to any of those questions, you should be interested in perennial crops. Your initial investment of time and money will reward you for years to come. Prepare your perennial beds properly, water and weed your plants, top dress with some compost, and you can harvest fresh food for your table year after year. Last week I wrote about Perennial Vegetables to plant in your garden. This week we’ll look at small fruits that will help you become more self sufficient. Small fruits are ideal for gardeners with limited space. They don’t take up as much room as most fruit trees and can often be tucked into suburban and urban spaces that receive full sun. Do some research to find out what zone you live in and what plants do best in your area. Watch to see how much sun your planting areas receive, and think carefully about how much space you have available. If prime gardening space is limited, you might be able to train grape vines up a vertical trellis, plant strawberries in pots, choose smaller varieties, or plant intensively for increased harvests. You can start out with just a few plants and propagate more to save money. If you have room for a nursery bed, use that space to grow new plants. Grapes grow quite easily by layering or cuttings. Brambles produce new plants by layering also, or by suckering. Strawberries send out runners that can be trained into rows, or the new plants can be transplanted to a new spot. An abundance of new plants may be produced with some time and patience. Strawberries are one of the easiest fruits for the home garden. They grow best in sandy loam that is slightly acidic. Plant in full sun in an area where no nightshade crops (tomatoes, potatoes, etc.) have been planted in the last 3 years to prevent the spread of Verticillium Wilt. Most strawberry plants will begin to produce in their second year and will last up to five years with regular maintenance and fertilizing. 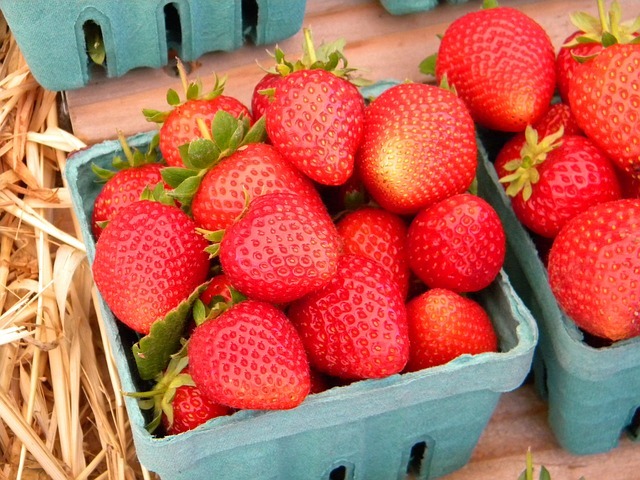 Choose June Bearing strawberries for a large harvest over 2 or 3 weeks in the spring. Ever bearing plants will produce 2 or 3 smaller harvests and day neutral plants produce throughout the season. For June bearing plants the best harvests are achieved with light dressings of compost or a balanced fertilizer shortly before flowering and again after the June bearing harvest is over. Ever bearing and day neutral plants will require more frequent top dressing with compost or a light application of fertilizer. Renovate your June bearing patch by mowing or cutting back the top growth after harvest. Be careful not to cut into the crown. 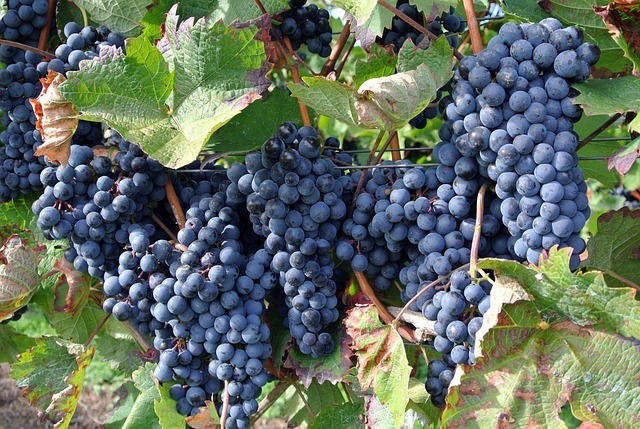 Grapes are woody vines that can live well over 50 years. They like a deep, rich loam that is well drained and receives full sun. Fruit grows on year old wood and vines will produce best when properly trained and pruned. Provide plenty of air circulation to prevent fungal infections, and a trellis or fence for the vines to grow on. Tie grape vines to supports to keep fruit from growing on the ground where rot is more prevalent. Choose varieties suited for your climate and your needs. Table grapes are best for eating out of hand, while wine grapes are often seedy and better suited for juicing and fermenting. Grapes can be grown in insulated pots or they may be espaliered to save space. Planting a marginally hardy variety along a south facing wall will provide a more hospitable micro-climate. 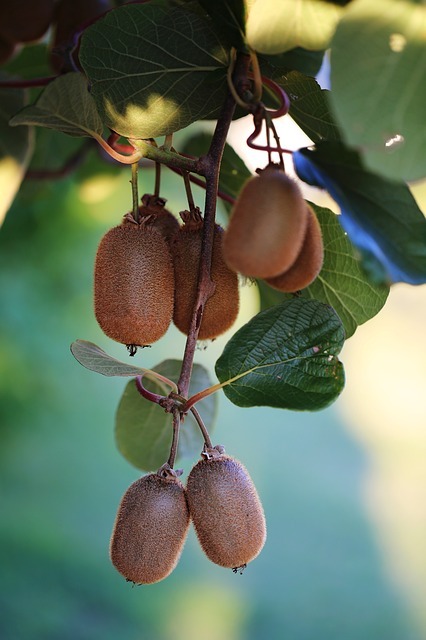 Kiwis thrive in moist garden soil that is well drained and neutral or slightly acidic. Hardy varieties can be planted in northern climates, although the fruit will be smaller. Plant one male plant to 3 or 4 female plants for pollination. A light application of fertilizer before spring growth and again after fruiting will increase yields, but be careful not to over fertilize. Cuttings can be made in midsummer to propagate new plants. Prune male plants any time after flowering and female plants after harvest. Remove 1/3 of current season’s growth to increase yields the following year. Blackberries and raspberries come in many varieties and colors. They grow on thorny canes (although thornless varieties are available) that require staking for best results. Brambles tolerate poor soil in full sun to light shade. A well drained spot that you can mow around is ideal, since brambles tend to send out suckers and long canes that will turn your yard into a thorny jungle. Tops of canes can be trimmed to keep plants in check. Blackberries bear fruit on second year growth and will fruit for about a month. Remove fruiting branches when harvest is complete to keep hedges maintained. Most raspberries also grow on second year wood, but some varieties produce fruit on new growth and will fruit twice each season. Blueberries require acidic soil and will not do well in alkaline or neutral beds. 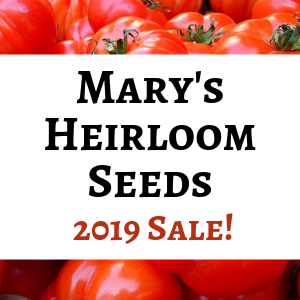 Plant them in full sun in a spot with rich, organic soil that is moist but well drained. Although blueberry plants will begin fruiting in their 3rd or 4th year, sizable harvests will not be achieved for 5 or 6 years. These are probably the most difficult small fruit to grow in your home garden and may not be suitable for all areas. Use an acidic fertilizer and keep soil moist, but not soggy. Propagating plants is also trickier and requires patience. The three main categories of blueberries are Highbush (grow best in northern climates), Rabbiteye (native to southern states), and Southern Highbush (hybrid of Highbush and Rabbiteye – produces increased yields in milder climates). Highbush are self fruitful, but will produce more fruit if two or more varieties are planted together. Rabbiteye are not self fruitful, so at least 2 varieties must be planted together for pollination. Southern Highbush also produce best with two or more varieties planted together. Dwarf Blueberries may be planted in pots or very tight spaces. They give another option to urban and suburban gardeners working toward a higher level of self sufficiency in small spaces. These members of the Ribes family are restricted in some states where White Pines are important to the economy. Check before planting these, as they are the alternate host for White Pine blister rust. Currents and gooseberries prefer light shade and cool, moist soil for best growth. Top dress with compost in spring and avoid over fertilizing. Allow 3 to 5′ between bushes and 8 to 10′ between rows. Prune plants while they are dormant to thin out old wood. Fruit is produced on year old wood and will continue to produce for several years on each cane. 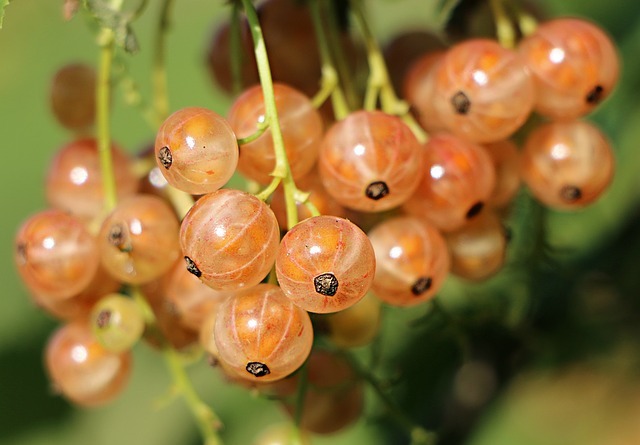 The main types available are white, red, and black current and white or pink gooseberry. All produce a tart, flavorful fruit that tends to be rather seedy. The fruits are high in nutritional value and make excellent juices and jellies. Eating fresh from the bush may not appeal to everyone. 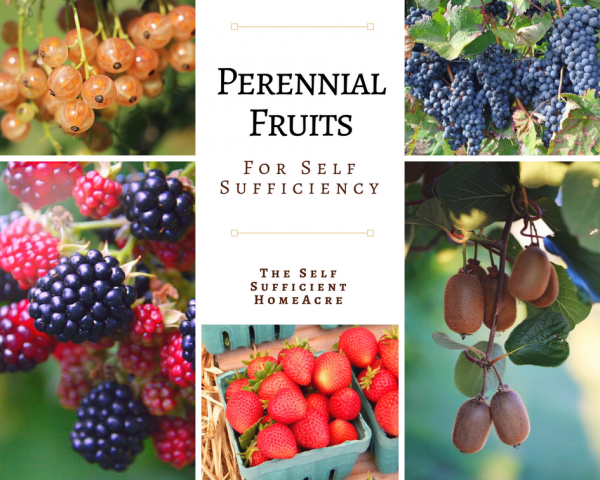 This is not a complete list of perennial fruits that can be planted on your homestead, but rather a sampling. There are many more types of small fruits that grow well in mild climates! 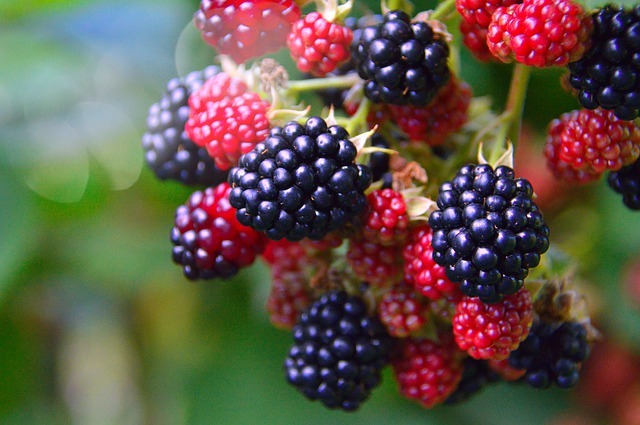 Do you have perennial fruits in your garden? What is your favorite? Best wishes with your kiwi vines, Katherine! I do have blueberries,blackberries, raspberries, strawberries, elderberries and fruit trees. They’re always the first thing I plant no matter where we live! Ah yes, those brambles are lots of fun, aren’t they? 🙂 I have mine planted along a fence and I can mow along either side. I understand about wanting the strawberries all at once. I used to have everbearing, but they didn’t really have many berries after the first flush in June. Now I have all Earliglow and the berries and very yummy. I like to make jam and freeze crushed strawberries with a little sugar…nothing beats it in yogurt! Best wishes with the new strawberry patch! I loved my concord grapes at our last place. Now I’m waiting for my new ones to produce fruit. I might transplant them this year. They are along our fence line next to the neighbors and they are planting field corn there this year…which means herbicides will be sprayed on our grapes. 🙁 So transplanting will probably be best. I have two brambles; a red raspberry, and what I think to be a black raspberry. My red raspberry was completely mown over last year (I know have fences surrounding both bushes, haha) so we’ll see if this year will count as a first or second. Is it possible to transplant the suckers to grow separate raspberry bushes? I was thinking of transplanting one, potting it, and giving it as a gift to someone. We have an apple tree that does very poorly every year. It wasn’t trained, and it seems beyond hope, unless we chopped down all the branches to the trunk and allowed it to regrow its branches. LOL That wouldn’t go over well.. I have a strawberry plant that I plan to transplant into a larger container. I believe the soil has become too compact. I also want it to give more room for roots. 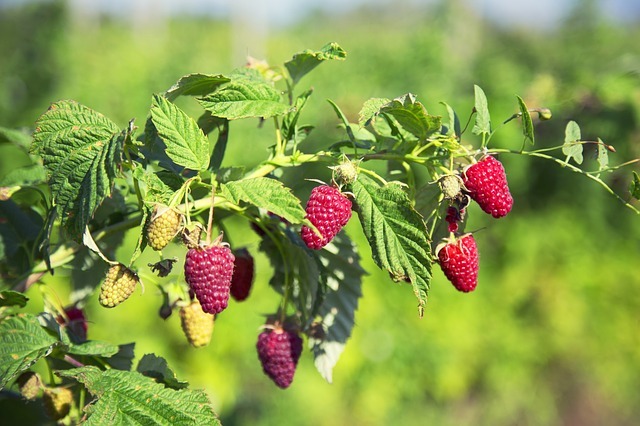 Some red raspberries will fruit on first year wood…it depends on the variety you planted. You can transplant the suckers to a new spot. Suckers grow from underground and come up a little bit away from the plant. You want to wait until the sucker has roots on it for best transplanting results. Your apple tree may need some serious pruning, but cutting all of the branches off won’t be healthy for it. The best thing to do would be to go through and remove all of the suckers (spindly branches with no fruiting spurs) for this year. Most pruning is best done in the late winter, but you can remove the suckers and any diseased or damaged branches, or small branches from the interior of the tree. Try to do this on a cloudy, cool day. Your strawberry plant should do fine when you transplant it. Give it some nice compost along with the fresh potting soil and make sure the container has drainage holes. Great tips – we’re just getting ready to plant some fruit bushes here. I’m so excited that our Strawberries are doing so well this year. Last year wasn’t very good. Thanks for inviting me, Mary! I’d love to hear about your grape vine renovation 🙂 My grandparents had 2 rows of concord grapes when I was a kid. I don’t know if they’re still there. I loved those grape vines and would eat every grape I could find. I think my Gram would have liked to get more fruit from her orchard and bushes, but I was like the birds and ate my fill before she could harvest! We always had several rows of raspberry bushes growing in our backyard the whole time I was growing up. I remember playing outside for hours, then when we got hungry, we’d stand there and pick raspberries and eat them right off the bushes. It’s a nice memory! We have red currents here and I’ve had the black currents in the past…they were a little hard to get used to, for me. I can’t believe I forgot elderberries! They are my Dad’s favorite! Thanks for sharing! I have alkaline soil too and my strawberries do pretty well. Adding a little acid will be fine, but be sure it isn’t too strong. 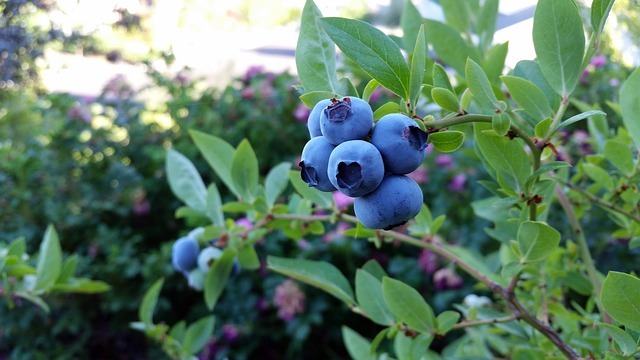 Your blueberries will probably need to have acid fertilizer applied twice each season. I’m hoping to find some pine needles to mulch mine…that will help too. Best wishes with your perennial fruits! We love our blueberry and blackberrry bushes and our fig tree. Perennials are such a great way to simplify your garden. I would love to have a fig tree, but it’s just too cold here. Blackberries are marginal too. My blueberry bushes were planted last year and we’ll see how they do. Our soil is pretty alkaline so I need to fertilize with acid.